The annual North American Handbuilt Bicycle Show always throws up lots of interesting, innovative and beautiful road bikes, and one ticking all three boxes was Portland-based Argonaut’s new Gravel Racer, which just so happened to win the Best in Show award. 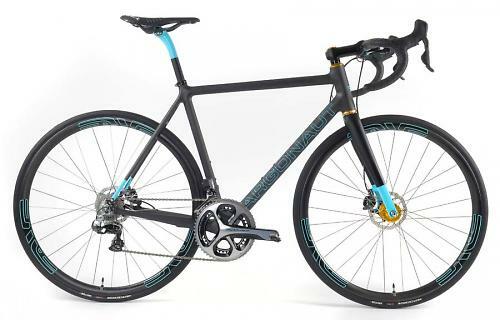 It’s based on their current carbon fibre road bike but with space for up to 28mm tyres and disc mounts and modified geometry for racing on gravel. 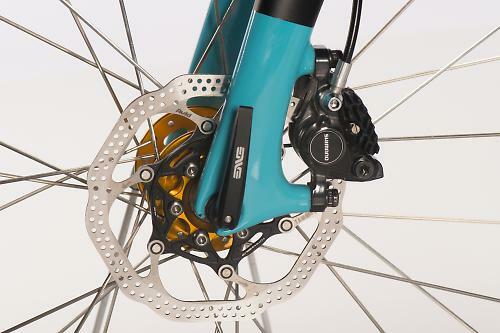 To all intents and purposes, it’s a regular road bike just like their Spacebike 2.0 – which is available with conventional caliper brakes if you prefer those to discs. This Gravel Racer though features increased clearance for wider tyres, up to 32mm out back, claims the company, with the Enve Road Disc fork up front taking a 28mm tyre. The show bike was fitted with Hutchinson's new Sector 28 tyre, the French company's new tubeless tyre with a claimed 295g weight. And of course, it has disc brakes front and rear. The bike displayed at NAHBS was fitted with a Shimano Dura-Ace Di2 groupset with hydraulic disc brakes running on Enve carbon rims on Chris King hubs. There’s some debate regarding the rear disc mount location. 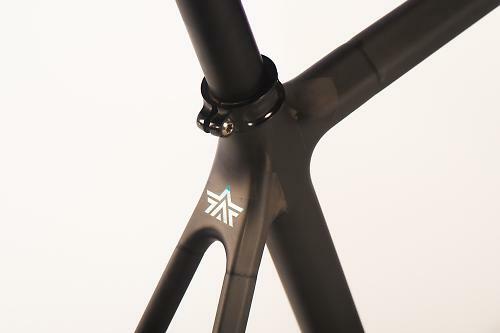 The issue of location divides opinion, some designers are placing the caliper on the chainstay, others on the seatstay. Argonaut have opted to locate it on the chainstay, and have done so with their own custom mount and dropout. Pretty neat huh? It’s claimed to add just 70g to the frame weight. Aside from wider tyres and disc brakes, there are other changes to make the bike more suitable to racing on gravel roads. The chainstays are a touch longer, creating a longer wheelbase, to promote a little more stability. For the same reason, the bottom bracket is a smidgen lower and the head angle a bit slacker than the normal road-specific version. The idea is to increase stability so it's easier to handle on a rough and slippery surface like gravel. Road bikes with disc brakes and capacity for wider tyres have been an emerging trend for a couple of years now, and we're seeing more released on almost a monthly basis. To my eyes this Argonaut looks more like one of the growing number of ‘endurance’ road bikes like the Cannondale Synapse, Bianchi Infinito CV and BMC GranFondo, than some of the cyclocross-inspired gravel racers. These 'endurance' bikes offer the performance many riders seek from a road race bike, but with space for wider tyres and with the option of disc brakes and a geometry that is focused on going the distance rather than crit racing being very appealing traits. Most gravel racing evangelists will tell you that clearance for much wider tyres are prerequisites of true ‘gravel racing’ bikes, but that's not a debate worth getting into here. The frame is made in the US. 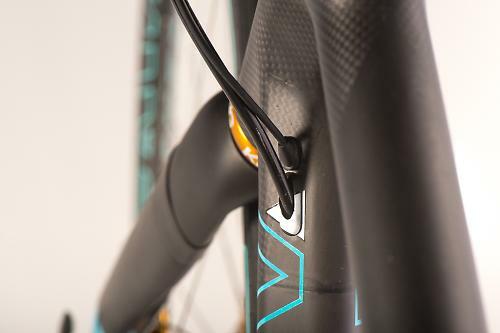 Argonaut have the capability to mould their own frames, rather than the tube-to-tube method, a process more commonly favoured by small carbon fibre frame specialists. The frame is constructed from seven sections and they are able to offer a full custom frame including geometry, as well as tuning the layup to suit each rider and their weight and riding style. 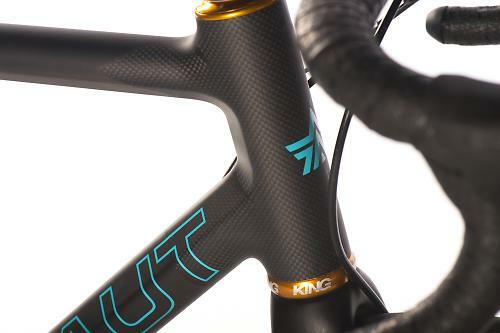 Argonaut claim a frame weight in the region of 750-900g, but that of course depends on the specifics of the custom build. Other options available include a full custom geometry, integrated seat mast or regular post, and a custom paint job. 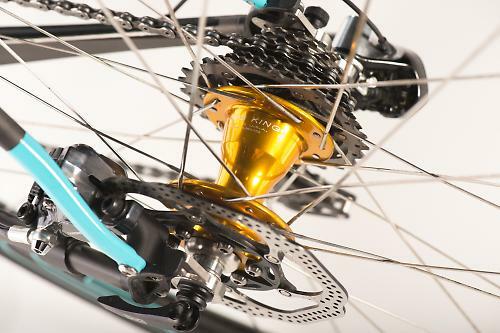 It’s not cheap mind, creating your own moulds is a jolly expensive business, and that's reflected in the £4,300 price tag for the frame, fork and seat clamp, placing it firmly in the top stratosphere of premium road bikes. 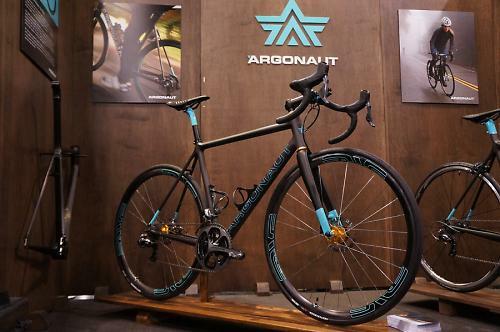 We may not have many gravel roads, or indeed a ‘gravel racing’ scene here in the UK, but the Argonaut looks stunning and should be ideally suited to riding on the road. These sort of bikes are ideal for non-racing performance cyclists wanting a fast and light road bike yet with all the benefits of the wider tyres and disc brakes. 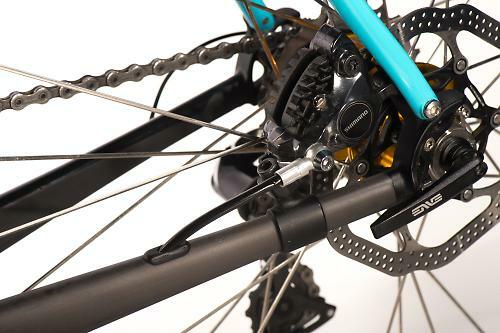 Fast, comfortable, smooth and with all the advantages of hydraulic disc brakes. Yes please. Thanks to www.bikerumor.com and Weldon Weaver for the photos in this article.